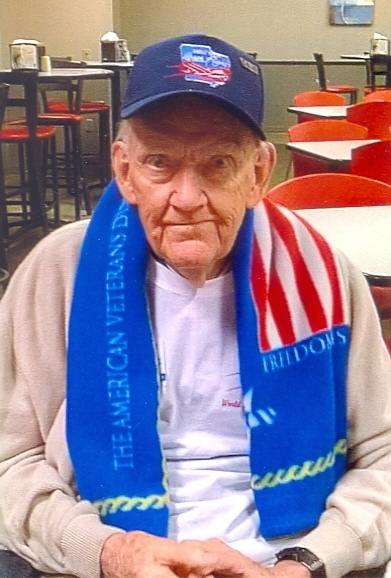 Irving T. Osberg, 94, of Hamilton, formerly of Keokuk, passed away on Saturday, April 6, 2019, at Montebello Healthcare Center in Hamilton. Irving was born on November 9, 1924, in Arnolds Park, Iowa, the son of Edward and Della (Norris) Osberg. During his working career, Irving was employed at A&P, Hy-Vee and the Seven Seas Laundromat in Keokuk. Irving never owned a car, but that never stopped him from traveling the world or working. He was a dedicated employee, and was always willing to lend a helping hand with whatever you needed without being asked. Irving proudly served his country as a medic in the United States Army during World War II, where he took part in the Invasion of Normandy on D-Day. He was a true American Hero. Irving’s life will be celebrated with a graveside service at 2 pm on Wednesday, April 17, 2019, at Keokuk National Cemetery in Keokuk. Full military rites will be accorded.